“It will always be a mystery why a few bombastic speeches have been enough to wash the bloodstains off Churchill’s racist hands.” This was how Shashi Tharoor, a successful and popular Indian politician, concluded his recent op-ed for The Washington Post. Tharoor began his piece with the sensational claim that Churchill was a mass murderer in the vein of Hitler and Stalin. One would expect such statements to have a mountain of evidence behind them. There is a mountain of evidence on these and similar issues, but from even the briefest expedition up the slopes one will see Tharoor’s arguments for what they are – revisionist, manufactured history. Tharoor first strikes by labelling Churchill as a Hitleresque war criminal, in that he habitually employed cruel and inhumane tactics against his and England’s enemies. He cites a letter in which Churchill calls for “absolutely devastating, exterminating attacks by very heavy bombers” against German cities – what we often call “terror bombing.” Tharoor links to a 2015 article in The Telegraph as his source for this quotation, which leads me to believe that he has not read the original letter in full. If that is the case, he missed some important context, and if he did read it, then he is withholding significant information. Churchill was writing to Lord Beaverbrook, his close friend and Minister of Aircraft Production in his cabinet, two months into his first premiership. His message was not an official directive from 10 Downing St., but rather an evaluation of what it would take to prevent Hitler’s forces from rolling eastward and from growing in strength. He recognized that Britain’s army could not successfully face Germany’s on the continent, and her fleet could not maintain an impenetrable blockade. Mastery of the air and its destructive potential, in Churchill’s opinion, was Britain’s only hope at that time for victory. He ended his letter with the telling statement: “I send this in order that you may know where I stand, before our discussion, by which I am quite prepared to be corrected.” I reproduce here the entire letter. We know that the Royal Air Force would go on to bomb German cities and that hundreds of thousands of civilians would be killed. Relevant, then, is Minister of State Richard Casey’s account of Churchill watching footage of “terror bombing” in June 1943. Part-way through the film, Churchill sat upright and said, “Are we beasts? Are we taking this too far?” Casey replied, “We hadn’t started it, and … it was them or us.” These hardly sound like the words of a man bent on inflicting terror for terror’s sake. 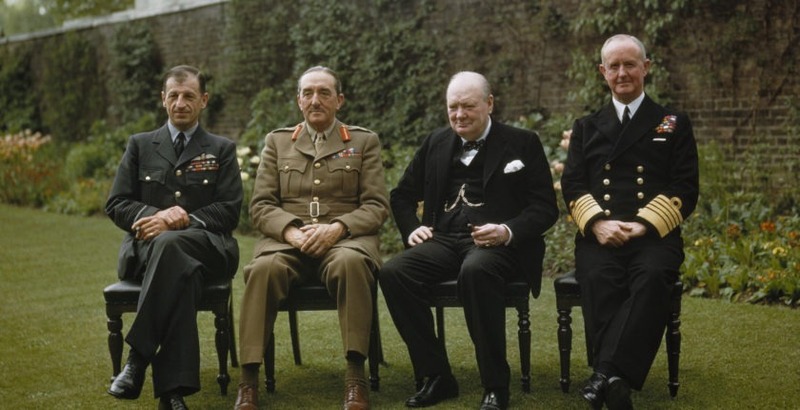 Churchill was the only member of the wartime “Big Three” to react in this way. Churchill was arguing for what he believed with good reason to be a more humane ammunition than high explosive shells or highly lethal gas canisters. The “poison gas” he was in favor of using was tear gas, not phosgene or chlorine. He was advocating the very same practice currently employed by police forces around the globe. It then gets a bit personal for Tharoor. He argues that because Churchill was a racist, Tharoor’s first assumption, and because he especially hated Indians, his second assumption, that he intentionally ignored the plight of millions of Bengalese as they starved to death in 1943, his flawed conclusion. For this he relies upon Madhusree Mukerjee’s book Churchill’s Secret War. However, the real expert on this subject is Pulitzer Prize finalist Arthur Herman, who has written the authoritative work Gandhi & Churchill. In his review of Mukerjee’s book, Herman notes how the author ignores the actual record of all Churchill, his Cabinet, and the entire British Empire did to aid the starving state of Bengal. Furthermore, Volume 19 of The Churchill Documents, which covers September 1943 to April 1944 and is 2700 pages long, contains a plethora of documentary evidence demonstrating the great lengths the British government went to for the sake of those suffering in India. Hundreds of thousands of tons of grain were shipped from around the globe to Bengal, yet still millions perished. The famine was terrible, but absent Churchill, Herman argues and the record proves, it would have been far worse. Soren Geiger is director of research for the publication of The Churchill Documents, a sub-series in the official biography of Winston Churchill. This piece was first published on March 27, 2018 by The American Spectator.